Hsu-Yun (Empty Cloud) is a well known Chinese master of the 19th and 20th centuries. He is known for his arduous life’s work of revitalization of the Chan Buddhist practice and ethics. Born in a Taoist family, he felt the need, after reading a book about the story of GuanYin in his family library, to practice Buddhism. To be able to do so, he fled from home, leaving his two wives, and lived as a hermit in nearby forests and grottoes. After several years of ascetic life, he met master Yung Ching of the Tientai Lineage who instructed him in Sutra study and Hua-Tou practice. After that he began his famous years-long journey to several Chinese places linked to important Bodhisattvas such as Putuo Shan, Nan-Hai, Wutai Shan, and many others (all the while bowing every three steps) to repay his filial debts and to deepen his understanding of Zen. From there he walked in pilgrimage through Tibet, India, Sri Lanka and Burma. He is said to have achieved enlightenment during a Chan retreat at Gaomin temple and since that time, he worked tirelessly to revitalize Chan Buddhism in China. He worked for the rest of his life at the reconstruction of the monasteries of the major schools of Chan which were in ruins (such as the monastery of the 6th patriarch Huineng and the monastery of YunMen). He also “re-established” the 5 traditional schools of Chan, transmitting the Dharma to his students and naming them abbots of these monasteries (He is known for example to have given the transmission of the Guiyang Chan Lineage to Master Hsuan Hua, the transmission of the ZhaoZhou Chan lineage to Master Jing Hui, the transmission of the Linji Chan lineage to Master Wei Yin and the transmission of the YunMen Chan lineage to Master FoYuan). He is very well known for his teachings on the combined practice of Pureland and Chan, especially through the Huatou method of “Who is reciting the Buddha’s name?”. He also is known to have founded the Chinese Buddhist Association (he has been one of its chairmen along with the Dalai lama, the Panchen lama and the Grand lama of Mongolia). The great man is said to have died at the age of 120 years old. Master Ji Dyn was quite young when he met master Hsu-Yun for the first time. He lived near the monastery of the 6th patriarch, master Huineng, and had the habit of going there to play as a child. At that time, the monastery was mostly in ruins and both Taoist and Buddhists monks and nuns used to live (and quarrel) on the monastery grounds. He first met master Hsu-Yun at Nan Hua monastery in his adolescence and received ordination from him at the age of 20. For several years he served as the great master’s interpreter throughout the country, as the master gave crucial talks in these difficult times. He also spent several years studying Chan and making pilgrimages before coming back to Nan Hua monastery where he helped master Hsu-Yun in regulating the monastery grounds, schools, and offices. As Master Hsu-Yun went on to rebuilt the YunMen monastery and re-establish the YunMen Lineage, Master Jy Din became the head monk of Nan Hua monastery and a committee member of the Chinese Buddhist Association. The war was at its highest and, to make a long story short, Master Hsu-Yun and Master Jy Din went to Hong Kong because of the highly dangerous situation. There Master Jy Din received a request from the Chinese immigrant community in Honolulu, Hawaii, to come and share the Buddhadharma in Hawaii. Having received the approval of master Hsu-Yun, with the famous and simple saying: “spread the Dharma to the West”, he and his disciples arranged everything to go to Hawaii. In Hawaii, with the Chinese Buddhist Association of Hawaii, he founded what was to become the first Chan Buddhist Temple in the West. In honour of his great master, it was humbly named “Hsu-Yun Si”, the Temple of Hsu-Yun. In order to help “spread the Dharma to the West”, he founded (with the help of the founders of the “Nan Hua Buddhist Society”, namely Ming Zhen Shakya and Chuan Zhi Shakya) in 1997 the “ZEN BUDDHIST ORDER OF HSU-YUN”, a semi-monastic order of Western priests, to disseminate the Chan teachings and practices of Master Hsu-Yun to Westerners . This order has been the first ever Buddhist Order to be partially based online, and it exist to this day. The Zen Buddhist Order of HsuYun is a secular community of Chan/Zen Priests. The priests aren’t monks and do not follow the Vinaya rules. They are secular Dharma Teachers. Since Master Jy Din passing in 2003, Like many Buddhist families, the Zen Buddhist Order of Hsu Yun lived a split in 2003. Today, there are therefore two Zen Orders coming from the same source. Both orders count direct heirs of DaShi WeiMiao JyDin and other Dharma heirs of Grand Master Hsu-Yun. All of us trying to practice and teach Chinese Zen (Chan) sincerely in our Western context. We can appreciate the work of dissemination of the Zen teachings by these two orders but we are only linked to the Zen Buddhist Order of Hsu-Yun (ZBOHY – ZATMA.org). We are children of Shakyamuni, Huineng, Hanshan, Hsu-Yun, Jydin, Fo Yuan and Ming Zhen – this is our only teaching lineage. Master Fo Yuan was ordained as a monk at the age of 18 in the Chinese Vinaya tradition (Yi Yang) at the Qi Jia Temple. He studied and practiced extensively the precepts and classical Buddhist meditation methods for many years. He traveled extensively to practice and study the Dharma under several masters, with several of them expressing their wish for him to become their follower, but he kept refusing and travelling. Master Fo Yuan was astonished and terrified by the lack of practice and dedication he saw in much of the monastic community of his time. In these very difficult civil war years, the Dharma was becoming difficult to practice and he felt that the study of the Vinaya (Buddhist Discipline) was the greatest lack for many monks. Having heard of the “sanctity” of master Hsu-Yun, he looked for him and finally found him rebuilding the YunMen monastery. At YunMen Si, he studied arduously with master Hsu-Yun and thanks to his dedication to the practice and his knowledge of the Dharma, became the “Guest Master” of the YunMen monastery. Venerable Ming Zhen Shakya (formerly Chuan Yuan Shakya), was a Chan/Zen Priest and Dharma Teacher, a writer, an artist and the main Dharma teacher of Shi Yao Xin Shakya from 2007 to 2016. She was the first American to be ordained in Mainland China since the communist revolution. She has been fully ordained and authorized to teach the Dharma to Westerners by both Master Wei Yin Shakya of the Linji/Rinzai lineage and by Master Fo Yuan Shakya of the Yunmen/Ummon lineage of Chan/Zen Buddhism. She founded her first sangha as an authorized Dharma Teacher, the Nan Hua Zen Buddhist Society, in the early nineties upon finally returning from China. FaShi YaoXin is a Fully Ordained and Transmitted Zen Priest in the Linji/Yunmen Lineage of the Zen Buddhist Order of Hsu Yun. He was a direct disciple of Ming Zhen Shakya (co-founder of our Zen Order) for many years and is honored to serve on the Abbatial Council of the Zen Buddhist Order of Hsu Yun as « Co-Prior of the Order ». As a Senior Dharma Teacher (Master) in the lineage of the ZBOHY, he founded DWZS/OZHY and serves as « Head Priest » of the Sangha. Shi YaoXin has also been honored by receiving full ordination as a Chan/Zen Priest and Dharma Teacher in the Order of Engaged Buddhists (OEB) . He has been authorized to teach the Dharma as represented by OEB’s Prior ordaining lineage which is both Ch’an and Soto Zen, by Rev. Shi Shen-Xi Astor, and was conferred with the dharma name of Chang-Yao. He is also honored to serve as Sub-Prior of the Order of Engaged Buddhists. One must note that the main Lineage of the “Zen Buddhist Order of Hsu-Yun”, in which Shi YaoXin is a transmitted priest of, is Linji/Rinzai. YaoXin Shakya was ordained by Ming Zhen Shakya, one of the early founders of the order, and Ming Zhen being of both the Linji/Rinzai and the YunMen/Ummon Chan/Zen Lineage, the above account presents both a brief account of the Dharma lives of Shi Jy Din (founder of the Zen Buddhist Order of Hsu-Yun) and Shi Fo Yuan (13th abbot of YunMen Si and heir of the YunMen Chan House). Master Sheng Yen was born in Nantong, Jiangsu Province, China in 1930, and became a novice monk when he was thirteen. In 1949, he joined the Nationalist Army, which later retreated to Taiwan. After serving ten years in the military, he was finally discharged from the army and re-ordained. Master Sheng Yen realized that “the Buddhadharma is so great, yet so many people misunderstand it, and so few people are willing to accept it.” He attributed this phenomenon to a lack of talent in spreading the Buddhadharma. Therefore, after a six-year solitary retreat, he further pursued his studies at Rissho University in Japan, and was awarded with a PhD in Literature in 1975. Subsequently, Master Sheng Yen was invited to the United States to spread the Dharma, where he served first as a board member and, subsequently, as Vice President of the Buddhist Association of the United States (BAUS), Abbot of the Great Enlightenment Monastery, and director of the BAUS Institute of Tripitaka Translation. In 1979, Master Sheng Yen established the Chan Center in New York. Then, in 1989, Master Sheng Yen established the Dharma Drum Mountain World Center for Buddhist Education in Jinshan Township, Taipei County. Based on his profound experience of Chan practice, Master Sheng Yen offered guidance and direction on the concepts and methods of Chan meditation for practitioners from both East and West, leading Seven-Day Meditation Retreats and Buddha-name Recitation Retreats across Asia, North America, and Europe. The Master was inclined to spread the Dharma using language and ideas that modern-day people can relate to. For this reason, the Master proposed a series of social movements, in the hopes of providing concepts and methods applicable in today’s life. These campaigns include Protecting the Spiritual Environment, Four Kinds of Environmentalism, the Fivefold Spiritual Renaissance Campaign, and the Six Ethics of the Mind. Master Sheng Yen passed away on February 3, 2009. His ashes and bones were buried in the Taipei County Jinshan Eco-friendly Memorial Garden. His vows live on in the work of all the students and organizations that sprouted from his work. Venerable Beishi Guohan (also known as “Old Teacher Tsao”) was born in a village near Taipei, Taiwan in 1951, and immigrated to Vancouver, B. C. Canada in 1993 and met Chan Patriarch Huikong Shengyan in 1994. He became Patriarch Sheng Yen’s disciple and investigated Chinese Chan for twelve years. Guohan focused first on the investigation of Silent Illumination Chan followed by Huatou Chan. He received the late Sheng Yen’s legitimate transmission of Buddha Mind-Seal for genuinely attaining the Patriarch Chan Dharma in the year 2006. Thereafter, to respectfully act in accordance with the trust Sheng Yen, the Patriarch of Caodong, Linji and Dharma Drum Lineages, had placed in him and in the spirit of “an Heir to Patriarch and a Master of Posterity”, he began to spread the Chan Teachings and lead Chan Retreats throughout Canada. While investigating Chan, Venerable Guohan was President of the Vancouver Branch of Dharma Drum Mountain Buddhist Association 2001– 2002, and was charged with buying a piece of land to establish the Dharma Drum Mountain Vancouver Centre, which was completed and began operations in 2006. 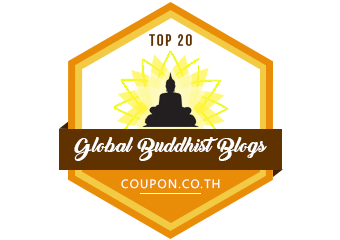 After receiving the Buddha Mind-Seal, he founded the Patriarch/Matriarch Chan community, “Cosmos Chan (Zen) Community”, for the purpose of deeply and widely popularizing Chan in the West, and has begun to distribute the Teachings and guide Retreats of Patriarch/Matriarch Chan all over the world.